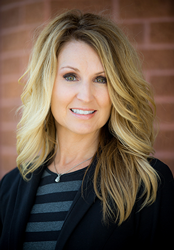 Dr. Lori Berwald is a 1995 graduate of the Southern College of Optometry in Memphis, Tennessee. In her practice, she emphasizes primary care as well as the diagnosis and treatment of ocular disease, contact lens care, and pre- and post-operative care of cataract and refractive surgery patients. After graduation, Dr. Berwald practiced in Michigan before relocating to her hometown of Kansas City in 1999. Before joining Grin Eye Care, she practiced throughout the metropolitan area with Sabates Eye Centers. While on staff with the Sabates group, Dr. Berwald also utilized her experience in the area of contact lens care and management to train ophthalmology residents and ophthalmic technician students through the University of Missouri-Kansas City. She is currently affiliated with the Kansas Optometric Association, and is proud to be working with the doctors of Grin Eye Care. Dr. Berwald is also a wife and a mother, and quality time with family is of upmost importance to her. She enjoys attending music concerts with her high-school-age daughter as well as accompanying her son, who is in junior high, to sporting events—especially Chiefs games! In her personal time, Dr. Berwald enjoys dancing, as it offers the opportunity for both exercise and fun with friends.